Masterchef Australia television host and award-winning food writer Matt Preston shares his thoughts on food trends, food critiquing, and being a celebrity. See the full article in the printed issue. Behind Berardo’s Restaurant in Australia, I was quietly peeking into the kitchen where seven of some of the world’s greatest chefs were preparing a one-of-a-kind degustation dinner to celebrate the last remaining hours of the Noosa Food & Wine Festival, when I noticed a looming presence behind me. 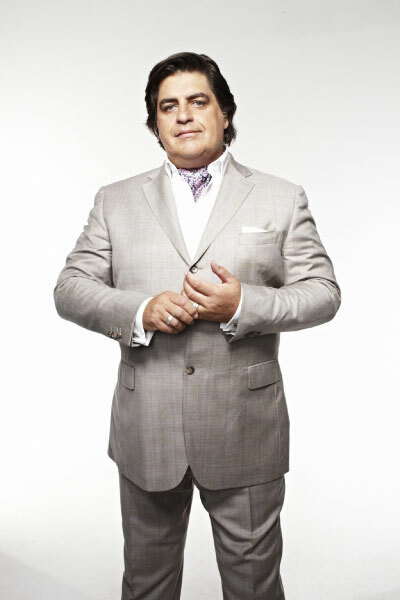 It was British-born Matt Preston towering over most of us, sporting his signature cravat (cream-coloured that night). He broke into an easy smile, and I soon find out he is as warm, amicable and as engaging off-screen as he is on. His passion for food is wholly apparent as he speaks enlivened with the memories of Singapore and of food trends, global trade, marketing, people—everything, really. Matt Preston once had childhood aspirations to be a soldier or footballer, but the day his friend rang to offer him a role as a food reviewer, he never looked back. The 50-year-old food journalist and television presenter remarks, “Food is a universal language,” with his favourite part of the job being the people he gets to meet. He has been based in Melbourne for the past 16 years, now hosting for Masterchef Australia and writing for delicious. magazine and the food section of The Age. Biggest gripe about the TV world? Shooting 85 episodes of a TV show takes up so much time which keeps me away from the things I love most: my job as a food writer, my family and travelling around eating when I’m not with them. Where do you see food trending towards in the next few years? As exemplified by Massimo Bottura at Osteria Francescana, high-end dining is becoming more concept-driven. Vue de Monde in Melbourne is currently developing a dish inspired by the Victorian gold rush in the 1850s with ‘nuggets’ of golden liquefied honeycomb hidden in chocolate soil. We are also seeing the growth of true regional expression, as exemplified by Rene Redzepi’s food. Noma already has traction but I’d expect to see more wild greens and less fashionable fish on New World menus. Is there any chef you’re dying to meet or work with—or have you met them all? I’d love to do more with Massimo Bottura who is a fascinating and inspirational character. Rene Redzepi (Noma), Heston Blumenthal (The Fat Duck), Juan Mari Arzak (Arzak) and Andoni Aduriz (Mugaritz) are all great to be around, but the best fun that I have been having recently has been cooking with ‘aunty’ style home cooks from a range of different cultural backgrounds. What advice would you impart to the thousands of aspiring food critics out there? Start a blog and review everywhere you eat. Write reviews to the length that they are published in your city (50 word thumbnails, 200 mini reviews, 450 word full reviews). This will help you find your own unique voice. Always try to improve your knowledge and develop special areas of expertise and interest. Tell us about your most memorable meal. There are so many: strips of steak cooked with butter and chives pulled from the wood-fired AGA in my grandmother’s farmhouse kitchen; homemade pasta served with shaved white truffle that I had foraged for myself in the hills behind Gubbio in Umbria; my last meals at The Fat Duck, Noma, Arzak and Mugaritz; eating pork buns with George and Gary in Mongkok (Hong Kong) and at Ssäm Bar (New York)… A good burger or souvlaki almost anywhere. Do you have a lucky cravat? No, all cravats are lucky. I do have a cream silk scarf that I am a little fond of.